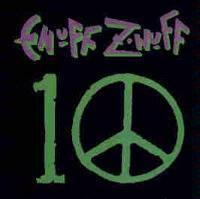 Enuff Z’nuff really knows how to make killer hard edged pop music with great retro leanings. On this, their tenth CD, they continue that tradition in fine form. The band have put together a collection of pieces that should really please both the long time listener and new fan. This one comes across as a bouncy pop cut in the vein of early Beatles. Harder edged, this one has a great power pop rock and roll texture. It features a killer guitar solo. The intro to this cut is based in an awesome metal vein, but the verses are in a more power pop ballad style. This is a great track and includes some wonderful vocal work. This crunchy but light hearted rocker features a distinctly Beatlesesque vocal arrangement. Ringing bells tie this cut into the next. Starting in an evocative styled mellow ballad mode, the one builds on that style, but becomes killer harder rock on the chorus. It alternates between theses styles and is one of the best tracks on this disc. It features a very tasty guitar solo. This one is very Beatlesesque, but in a more late era style, at times feeling more like a lest lushly arranged ELO. This is a classic-rock styled pop cut with Beatlesish textures, particularly in the vocal arrangement. This is another catchy pop rock piece with a great retro texture. “Bang On” is a fast paced, rather pleasantly rough edged rock song. Enuff’s cover of the David Bowie classic, this one is stripped down rock and roll and very solid. 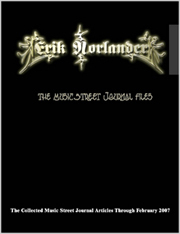 It features a killer rough edged guitar outro. A Cheap Trick cover, this one would be a great choice except for the fact that Znuff just did it on their last CD. This time Billy Corgan makes a guest appearance, lending his lead guitar skills to the mix. In Enuff’s defense, the cut is done here is a darker, harder edged style than on the previous album. Of course, much of that feeling comes from the intro alone. It features a very Beatles oriented ending section.